Yes, I am still into the galaxy pattern, even though it's kind of boring now. Anyways. I love the sequin high low sweater I got from Chicnova. Probably you are familiar with this store, but if not you should check it out because they have a bunch of cutest clothing. 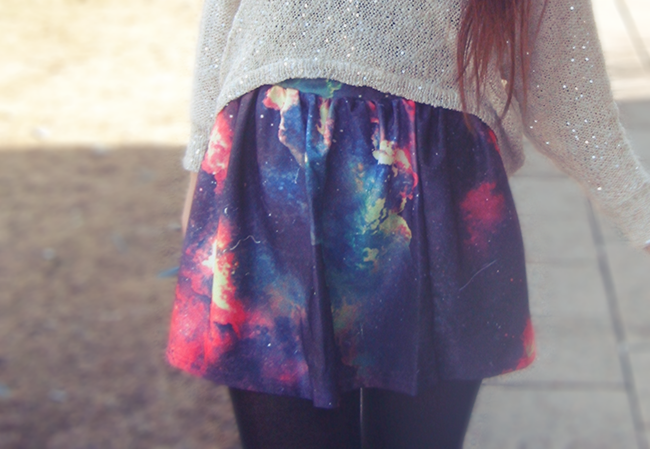 Gorgeous, love the skirt and sweater so much! Yeah I know! Thanks Amy! Definitely not boring! I personally love it! 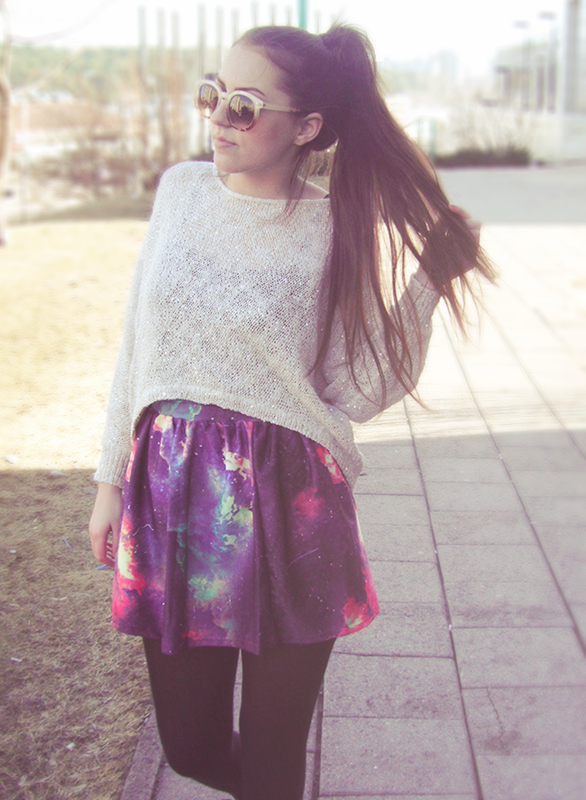 Such a cool looking skirt, your sunglasses are nice too!